You can find some of the letters we received from Professors who have recently used our services. 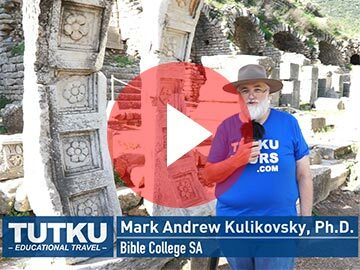 I have led a plethora of tours over the last twenty five years, and I can honestly say that when it comes to leading a tour to any one of the Lands of the Bible there is no one I would rather work with than Tutku Tours and its many wonderful guides. I would like to thank you for your help and kindness in making my group tour successful. The whole trip went very well. My group returned to the states, and, before returning to the states, they all expressed their appreciation toward Tuktu Tours. Zafer was kind, friendly and flexible. I think his upbringing as a child of Police Chief has probably contributed to his style of personality and interpersonal relations. Our driver was also kind and smiley. I hope you and your company will continue to be thriving. I will see you in San Diego in November. Sicily, and Italy. Once again, Tutku lived up to its reputation and exceeded it. Thank you for all the detail work you people did in making the trip a successful. Thanks also for the tote bags. They came in handy. We flew Lufthansa from Chicago and to Chicago and really liked it. Almost as good as Turkish Airlines :). We will all work together to make the planned January 2019 study tour to Turkey a complete success. We are already recruiting for it. Happy New Year. Continued success in the operation of your travel business. Tutku Tours has earned the right to achieve outstanding success. was an unexpected bonus. I am further thankful for the very nice evening that Bernice and I had with both you and Cenk--the food and your company were both delightful. Jeffrey A. D. Weima, Ph.D. 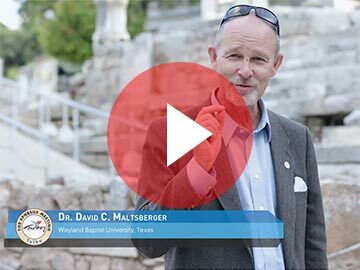 Please accept my sincere gratitude for your guidance and assistance in planning for our recent trip to Turkey and Greece--our trip was a tremendous blessing! The people who joined me on this trip continued to express appreciation and pleasure from making the journey. It was also a joy to meet you personally and have the opportunity to enjoy the meal in the seaside restaurant in Izmir. Also, I cannot thank you enough for the privilege of working with Cenk--he is a great man in every way! It was such a joy to become friends with him and you can certainly be proud to have him on your staff! He is not only an excellent tour guide, who knows his information and can share it effectively, but he is a gentleman who truly cares for the group he guides! It will be my honor to recommend your company to anyone who is interested in making a trip to any region that you provide the planning and guides! Hopefully we will be able to work together again in the future. May the Lord continue to bless you and your staff! Tutku Tours is the leading provider of educational and historical tours of ancient and modern Turkey. They have been our partner in several study tours and have provided us with the service that one would dream of. We recommend them without reservation. I look forward to seeing you in Chicago. I am not sure if you have an endorsement from me, but if not, you may use the following, if you desire. I have done nearly thirty tours throughout the Mediterranean over the last fifteen years, including a number with Tutku Tours in Turkey. Without reserve I can testify that Tutku Tours, owned by operated by Levent Oral provides first rate service at a reasonable price, which includes wonderful accommodations and food. I have never been disappointed. 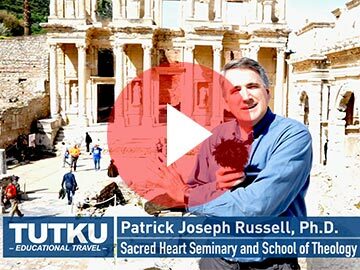 I heartedly recommend Tutku to anyone who wants to travel to Turkey to visit the ancient sites of former Asia Minor where Paul and John traveled and lived, and where the early church grew and developed the Christian doctrines that we hold dear today. 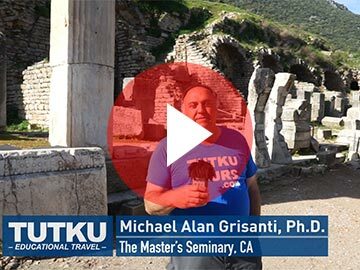 I have led two undergraduate study trips to Turkey and Greece with Tutku Tours, and each time it has been a wonderful experience. We always feel like we receive great value for our money with Tutku Tours, and participants come home excited about the experience and ready to return as soon as possible. Levent Oral and his staff at Tutku Tours are professionals, who are passionate about satisfying their clients. They have always been sensitive to our requests and needs, matching our groups with knowledgeable and engaging guides and carefully arranging every detail of our trips. The lives of our students have been changed through their experiences in Greece and Turkey, and that has been possible because Tutku Tours has taken care of the details of our trips, and our leaders have been able to focus on our students and the things we are studying. I recommend Tutku Tours to anyone traveling to Greece and Turkey! W. Edward Glenny, Th.D., Ph.D.
For two weeks over New Years 2008/2009, I led a group of 20 undergraduate students on an Archaeological Study Tour of western Turkey. All the arrangements; itinerary, accommodation, bus and driver, national guide, and entrance fees were arranged with impeccable care by Levent Oral and his colleagues at Tutku Tours. Their experience in designing Academic Tours like this was obvious: the national guide who accompanied us, Serdar Balin, was not only a superb interpreter of his country’s past, but a kind and generous companion for the students. 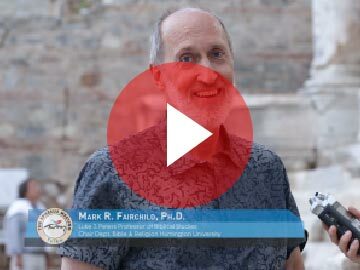 I have been leading Academic Tours to Turkey for over 30 years, and this was easily the most successful. I cannot recommend a better agent in Turkey than Tutku Tours. We have completed our last site visit this morning and are going to have the final group dinner tonight. Most of us will go back to the US tomorrow. Some students are going to travel more with their families. The students learn a lot from all sites that you arranged for us. Everyone is very welcoming and willing to share information that we would like to learn. Of course, we had an ample opportunity to discuss with healthcare personnels, service providers, professors, and social workers in Greece. Likewise, I believe that this program is a huge success! I believe that the students are achieving their learning objectives of this study abroad class. I believe that, in turn, this trip will help each of the students achieve their career goal. Thanks much for working with me and Kelly. Please convey my BIG thanks to Burcu and Teti. As you know, they did an outstanding job for my group. All assistants, guides, and drivers are excellent. I hope that we keep running this program for next years. Tutku Tours is a world leader in Biblical and Classical Tours. Its excellent service combined with affordable prices make it the agency of choice for colleges, universities, and seminaries. Its owner Levent Oral uses personable guides who are experts in the field. I would highly recommend Tutku Tours for your next tour to Turkey or to the eastern Mediterranean. Dr. Mark Wilson and Dilaver Oncu. This was our first visit to Turkey, and the trip exceeded our best expectations. Thank you and the staff at Tutku for making our travel arrangements. Everything went flawlessly. Dilaver is an excellent guide. We learned much from him and he took good care of us throughout the trip. The drivers were very professional; Erdugan was especially patient and helpful. We couldn’t have accomplished our travel goals without Mark, Dilaver, Erdugan, and Tamer, and of course Tutku Tours. I look forward to travelling again with Tutku Tours. Turkey is one of the most amazing and beautiful countries in the world. No one shows it off like Tutku Tours! Their gracious hospitality and informative guides make the sights and sounds of Turkey come alive for today’s visitors. 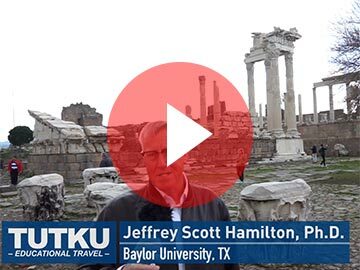 From the international flavors of Istanbul to the Greco Roman remains of ancient biblical sites such as Ephesus, Laodicea, and Pergamum, Tutku makes the rocks cry out and the scenery sing. Their tours are informative, inspirational, and absolutely incredible. Don’t miss the opportunity to see Turkey, both modern and ancient, through their eyes. After ten years of leading university and adult trips to Turkey and Greece I began using Tutku Tours as our agent. This has been a very positive experience for us, for Levent Oral and his colleagues have been very helpful in arranging all aspects of our travel including itineraries, hotels, site visits, and guides. Because Tutku has close contacts with agencies in countries other than Turkey they have been able to provide us with a "seamless" experience on our trips that combine both Turkey and Greece—thus the convenience of working with just one, rather than multiple agencies. For a very reasonable price they have provided us with quality hotels and they have even arranged special rooms for meetings and exams. I have worked with three of their guides and they are first rate and very knowledgeable on relevant subjects—modern, ancient, and biblical. They have consistently interacted well with group members—whether university students or adults. Tutku's, and their guides', extensive experience and multiple contacts have helped smooth over some unexpected events—like getting stuck in the Cilician Gates in a snow storm in January! 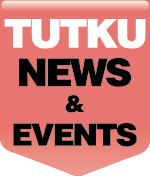 In my experience Tutku has always actually provide more than what was expected—they consistently "go beyond the call of duty" and are a pleasure to work with. I simply can't find the words to thank you all enough for the phenomenal time our Twin Lakes Church group had in Turkey and Greece, thanks to you. We are all glad to be safely home here in California, yet we already miss your beautiful countries so much. Not only did our guide in Turkey, Tulu, and our guide in Greece, Constantine, show extraordinary familiarity with their subject matter; they were especially helpful in all the various crises our group experienced while traveling abroad. Tutku Tours will always receive my absolute highest possible endorsement. 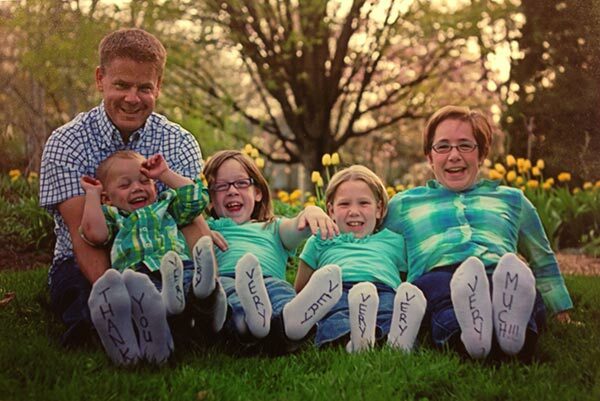 The package you put together for us was an astounding value, and the memories you helped us create were priceless. The word "thanks" just doesn't go far enough. You have our unending gratitude. 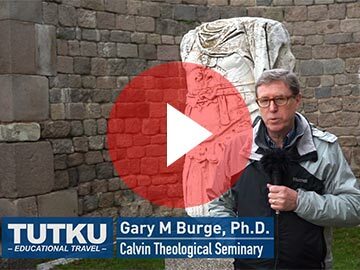 "Thanks to Tutku Tours for making our first Lutheran School of Theology at Chicago pilgrimage to Turkey a great success. We appreciated Tutku staff s' flexibility in shaping the itinerary within a budget, producing a beautiful brochure, and handling logistics and arrangements for our group of 44 (12 students plus lay people, alumni, librarian, pastors, and friends). Our guide, Macit Sascade, was outstanding. This trip truly brought the Bible to life. In addition to visiting major biblical and archaeological sites we loved the Whirling Dervishes in Cappadocia, the Mevlana Sufi shrine to Rumi in Konya, and a lecture on Byzantine history in Istanbul, giving a taste of the richness of Early Christian and Islamic cultures. The hotels, transportation (including Turkish Airlines) and food were all excellent. Head-sets made it possible for our large group to hear the guide. Thank you! We will use Tutku again. Tutku Tours supported the Sinop Regional Archaeological Project during our summer 2010 field season by providing us with a large van. It was just what we needed as we scaled the dizzying Pontic Mountains mapping ancient Greek and Roman roads. Two years ago Tutku arranged a tour operator and driver for our field school as well. Both experiences have been excellent. We have been impressed with how well Tutku arranged everything - getting the vehicle in place on short notice, and following up on every detail. We have Tutku Tours to thank for ten new sites that have been found in the Sinop highlands, and look forward to working together for years to come. As you can see from our letterhead, we have had considerable personal experience in dealing with tour operators in many parts of the world, as well as acting on behalf of those here in Canada. We recently had the pleasure of visiting Turkey and being provided individual tour services by your company, and in particular, by Ms. Eser Sedef. My wife and I can only comment in the extreme positives as to the manner and professionalism exhibited by your company, and in particular, the personal service and guidance that was provided to us by Ms. Sedef. After four month-long trips with students through Turkey arranged by Tutku Tours, I am completely sold on Tutku’s services and recommend them to anyone planning tours in its region. Tutku’s expert staff impresses me every year with their friendliness, professionalism, efficiency, and especially with their ability to combine the royal treatment with such an affordable price. The Ephesus Meeting in particular, with its opportunities for worship and learning, has been a highlight along our travels in May. Tutku’s experience and attentiveness to each trip’s success has permitted me as a trip leader to travel with utter ease and confidence. Dear Levent and Yesim: As president of the American Theological Library Association I recently published in our bimonthly Newsletter a letter from the president to all of our members suggesting a trip to Turkey. While Tutku Tours is not explicitly mentioned, if I get enough of a response to my suggested trip you shall be hearing from me about planning it. We were very happy with all the arrangements you made. Tomorrow I leave for our annual conference which will be attended by over 400 members. I shall be interested in hearing from those members who show interest about such a future trip, and will speak most approvingly of Tutku Tours. Dear Levent Oral, We have returned to Omaha, Nebraska after our tour of Turkey. On behalf of the group I want to thank you and your people for the arrangements you made for our group. We deeply appreciated having Husnu as our guide and Ayhan as our bus driver. Both of them were outstanding. On our next tour to Turkey we ask that you make arrangements to have both of them with us. They were exceptional with their help and concern for our group. We look forward to working with you again in the future. We are writing somewhat belatedly to express our very real and sincere thanks to you, Özcan, and all your team for the fabulous tour which you organized for us. We will most certainly use Tutku Tours again and will recommend you to others. We would be more than happy for you to quote this reference and to provide any other endorsement should you require it. Jim and Heather and 24 happy students! Greeting from the other side of the world. Thank you for a wonderful tour of Turkey. What a beautiful country and I appreciate your knowledgeable insight about the Turkish culture and all the places we visited. The students are having a blast with the facebook page, might want to check it out of you have a minute. Again, thank you for a wonderful tour, I hope you had a easy trip home and a restful weekend. Lets stay in touch. Hello Levent... Our travels thru Greece and Albania went superbly well and the guides (and hotels) in both countries were great. I enjoyed working with them and would gladly work with each of them again if possible. 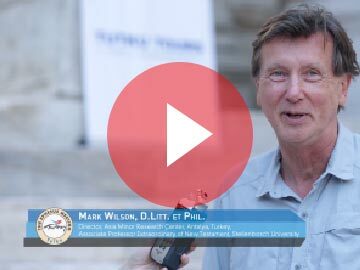 I realize that our overall itinerary was quite energetic (and may have felt rushed at times) but there was a reason for this in terms of the needs and goals of our Down Ancient Paths travel study program at Ambrose University College and what we are trying to do in it. Those who signed up knew what it was all about and that was part of the attraction (3 countries in one trip for a very reasonable price). So I really appreciate all you and Erin did to make this itinerary work on the ground...the services were excellent! Also, Mel did her best ..her commentary on the sites was excellent....from all directions...the tour was a job well done! Tutku Tours is at the top of the list for tours of Turkey. They specialize in Biblical tours and their expertise is evident in all aspects of their trips. The guides have a firm grasp of the ancient sites and they communicate in an articulate, interesting and sometimes humorous way with the groups. They are abreast of current developments in archaeology and are flexible enough to accommodate in individual interests, even during the course of travels. Tutku Tours is able to negotiate accommodations at excellent hotels and yet keep their prices extraordinarily competitive. I most highly recommend Tutku Tours. Levent, thank you again for putting together such an outstanding tour for us. It was truly excellent in every way. Everyone is speaking so positively about their experience here. The people are also saying such kind things about their experience publicly on Facebook. Levent and Erin (and Sema and …), I can’t thank you enough for making this tour such a wonderful success! Karen and I especially want to thank you for arranging our extension at the Patara Prince. It was incredibly lovely, as we expected. Thank you! "Tutku Tours provided my wife and I with one of our most memorable experiences as we toured Biblical sites in Turkey for our 30th wedding anniversary. Their professional, knowledgeable staff showed us true Turkish hospitality while providing a fascinating, informative narrative as we walked among stunning archeological sites from Pergamon to Laodicea to Ephesus. We will always read Paul's letters with these images in mind." Now that we are settling back into our normal routines I did want to take a moment to thank you for all your extraordinary assistance in making our time in Turkey such a very valuable learning and positive personal experience. From our first to our last dinner in Izmir with you, your concern, graciousness and meticulous planning were very evident and for this we are most grateful. Not only did we have very high regard for Jack as a driver, but also for the VW van that we had access too. And what we especially appreciated about Dil was not only that he got us to all the sites that we had wanted to access but also his genuine personal concern for our well being at all times and his strong desire to make our journey a very deeply positive experience, which it was in large part due to his generous effort. In short, then, Kathy, Helen and I are all very deeply grateful to you for your many kindnesses, your careful advance planning and your integrity. I would strongly recommend Tutku Tours to professors, like myself, who plan and lead Student Study Tours. I found the staff and guides extremely knowledgeable, experienced and eager to craft the tour to the class objectives. 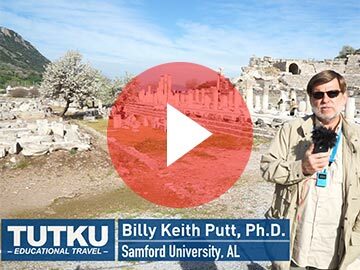 I plan on using Tutku Tours again for my next study trip to Turkey. It was a pleasure to have you as our tour guide on our recent trip to Turkey. We fell in love with your country and hope to come back one day. Thank you for taking such good care of us and giving us insight into the Turkish people. We enjoyed it tremendously. Levent - THANK YOU for an incredible "10-star" experience in Istanbul, Ephesus and Athens. In every city, our small group of four, was met by an energetic, interesting, knowledge-filled tour guide. In nearly perfect English, Mehmet, Zafer and Voula, articulated historical data with pertinent and interesting detail that led us to a new appreciation for antiquities in Turkey and Greece. From the Blue Mosque and the Sultan's Palace to the fresh scents of the famed Spiced Market in Istanbul to the ancient ruins and Roman paved streets and Turkish lunch in Ephesus to the Areopagus and mighty Parthenon (and its impressionable museum) in Athens, our journey with Tutko Tours was a wonderful, impressionable and long-lasting and memorable journey through history. My long-simmering urge to visit Turkey took shape last winter when I saw a flier from the College Art Association advertising an art tour of Turkey. I contacted the tour company - Tutku Tours - and via email we set up a two-week ramble for the start of October. The low prices in Turkey were part of the appeal, but looking back now, the enduring appeal is the people. Milton Moore (Private Turkey Tour) Newspaper Article from "The Day - Connecticut"